Absolutely smashing! 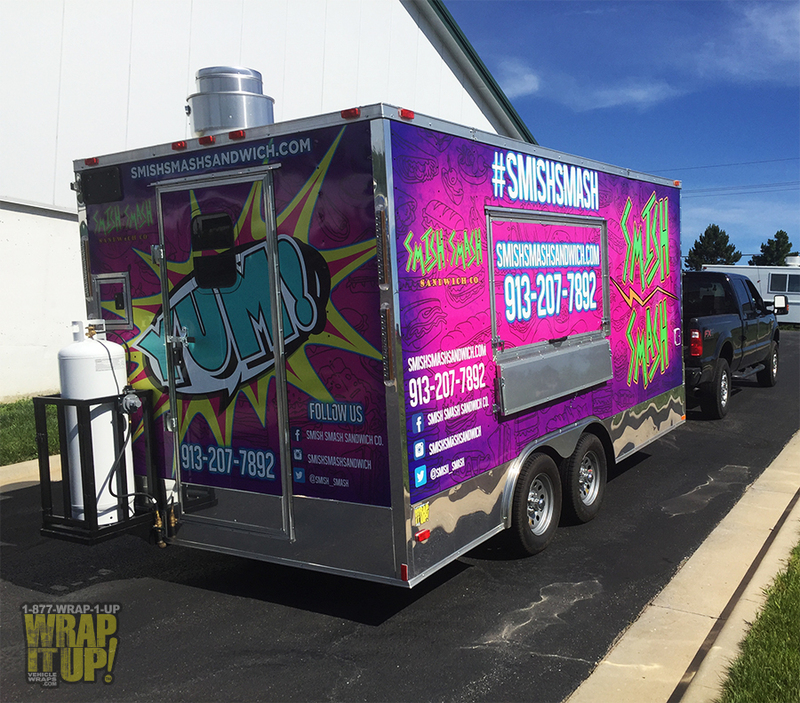 Feast your eyes on this fascinating trailer wrap we dreamed up for Smish Smash Sandwich Company. We started off creating something a little more tame, but then the restrictions came off and this bright beast was born. Smish Smash will be stylishly cruising up and down the highways and byways serving colossal creations out of this mind-blowing trailer. It was such a pleasure working with Smish Smash on this project, and we wish you all of the luck in the world on your future endeavors. If you get lucky enough to lay your eyes on this ride; you better get in line because its sandwich time. Thanks Smish Smash!